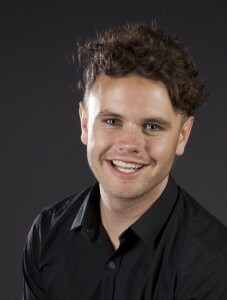 TOM OLIVER is one of Australia’s brightest rising talents with a broad portfolio that includes music, theatre, film, television and cabaret. In 2014, Tom became a member of Kylie Minogue’s inaugural team on Channel 9’s hit television show The Voice Australia. After The Voice Tom starred opposite Wes Carr in the national tour of Rolling Thunder Vietnam (Blake Entertainment) playing the lead role of Johnny. Recent Australian credits include; Jack in Into The Woods at QPAC in Brisbane, The Land Mine Is Me as part of Queensland Theatre Company’s ‘Scene Project’ and Romeo in shake&stir theatre company’s North Queensland tour of Romeo & Juliet. Internationally, Tom has played the lead role of Cecil Steamwhistle in Thomas and the Hidden Treasure (Smile Entertainment) in its Hong Kong, Dubai, Singapore and Melbourne seasons. Tom has performed in multiple creative developments for new Australian works, featured in numerous television commercials and hosted The Octonauts Live On Stage opposite Captain Barnacles at the Sidney Myer Music Bowl. Tom is a proud member of equity.